The other day my husband sent my seven-year-old son to ask me a number. When I told him the number and saw his face, I knew he was going to forget it on his way. I repeated it to him several times, and he ran away while saying it aloud again and again. If he wanted to get there with the right information, he couldn’t afford to think about something else or get distracted on his way to his dad. That moment brought a smile to my face because that’s the same attitude with which I must live, reminding myself about the truth of the gospel. If I want to reach my Father, I can’t entertain myself in something that deflects my attention; I need to concentrate on the Truth! 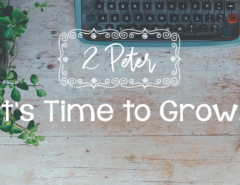 This is what Peter’s words are about in the book of 2 Peter. He diligently alerted us to not forget the basics of our faith. 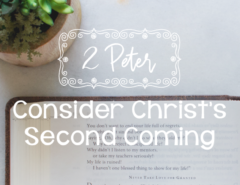 Peter was an eyewitness to the power and majesty of Christ, and he heard the confirmation of heaven when the Father declared that Jesus was His beloved Son. Can you imagine? This is the same guy who denied Jesus three times and was ashamed to be called His disciple. Now, with great courage, he is the guy who assures us that he is a witness of the majesty of Christ. He puts in all his effort so we can also be reminded of the Truth. We want your life to be marked by Peter’s reminder. Let’s look at the next verses for why it’s important to remember this again and again. Let’s read the Bible together! 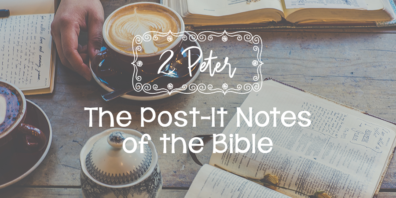 Open your Bible to 2 Peter 1:19–21. For easy access, we’ve listed it for you below. Like my son who is prone to forget a number as soon as he hears it, we are at risk of suffering from spiritual blindness and amnesia, of forgetting where God took us from and the work He has done in us. We live in a world of moral and spiritual darkness, so we need to pay attention to the Word of God as one who clings to a torch on a path of darkness. The things that Peter helps us to remember are not simple fables. It is the Truth to which we need to attach; it is the only trustworthy ground among quicksand; it is the only rock on which our steps can stand firm. The Word of God is safe. The Bible is the absolute source of all Truth. It is your anchor and your authority. It is the sword with which we will face all deception and lies. The Word of God shines in the darkness. The counsel of God is the light that will help you to walk confidently in the middle of a perverse and dark society. It is a lamp for your feet and a light for your path (Ps. 119:105). God is the Author of the whole Bible. We can hold onto the Bible with confidence because it was God Himself who inspired it. The words you read in your Bible are not a human invention. It is the breath of God for you, and it is useful to instruct and correct you so you can be like Jesus (2 Tim. 3: 16–17). Peter knew this. He was extremely committed to transferring his faith to the next generation of believers. 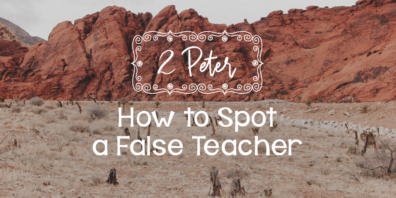 He wanted to alert us about false teachers who would come to try to deceive us. 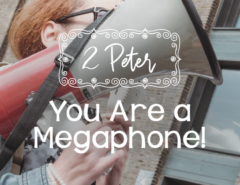 Today I share Peter’s passion. It’s my desire and urgency that you, too, at any stage you find yourself, can understand the only thing that is safe and the only thing that remains is the Word of God. Study it for what it really is, the very Word of God, inspired by the Holy Spirit to men. Approach the Bible with humility and in absolute dependence on who inspired it so you do not fall into the trap of adding your opinion or point of view. What are you waiting for? Be satisfied with the treasures that are waiting for you in God’s Word. Is the Word of God your only authority and point of reference? Or are your opinions and points of view the ones that govern your decisions? Do you pay attention to the teachings you receive? Do you confirm that it comes from the Word of God? Did you know this blog is 100% donor funded? Help other women find freedom, fullness, and fruitfulness in Christ by becoming a Monthly Parter. Learn more here. Betsy is a popular blogger and speaker with a passion to help others savor the Gospel. She manages the blogs and supervises Media for Aviva Nuestros Corazones (Revive Our Hearts Hispanic Outreach). Originally from the Dominican Republic, she now lives in North Carolina where she is (slowly) pursuing a Master’s degree in Women’s Ministries at Southeastern Baptist Theological Seminary. Most importantly, Betsy sees God’s grace in her life as His daughter and servant, as wife to Moises since 2005, and as mother to Josué and Samuel. 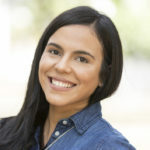 She blogs regularly for Aviva Nuestros Corazones.